Building an outdoor kitchen gives you a place to cook, eat and entertain friends and family without everyone being cramped underneath one roof. Everyone associates summertime with grilling and backyard barbequing, but outdoor kitchens allow you to utilize your outdoor space beyond the summer months. When Matthews Construction and Design creates your outdoor kitchen, we create a one-of-a-kind addition that incorporates all of your kitchen dreams into the perfect outdoor area. 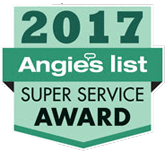 We’ve earned an Angie’s List A rating with our customers in Washington, D.C. and Montgomery County, Maryland, thanks to our imaginative designs and outstanding service. Designing a functional and safe outdoor kitchen requires a great deal of planning, and attention to details that can affect the safety of the space. Weather is the biggest factor and is something to be conscious of throughout the entire planning process. Flooring made from tile or marble is slick or slippery when wet. The location of the grill is another safety element to be considered. Wherever the flow of traffic usually flows, your grill and other dangerous surfaces should be on the opposite end of the yard. At Matthews Construction and Design, we do everything with your convenience in mind. Placement of the outdoor kitchen is a very important aspect because it could make or break the space. The smoke needs to have enough area to waft away from your outside eating area and house, but also needs to be close to the backdoor for added convenience of carrying food. Details of the design such as space for storage and ease of cleaning are other aspects that we consider. For example, steel counters are sleek and modern, but concrete are resilient through the elements and are easy to maintain. For quality outdoor kitchens that will change the way you look at cooking, customers in Washington, D.C, Bethesda, Rockville and all of Montgomery County rely on Matthews Construction and Design. If you’re considering an outdoor kitchen, contact us for a consultation.